Airator with Blower Attachment - Chicago, Illinois - Pekay Machine & Engineering Co., Inc.
With our broad experience engineering and building on-belt mixing and aerating systems for industry, the aerator with jet blower attachment highlighted here is an example of a typical project we undertake here at PEKAY Machine & Engineering Co., Inc. By tapping into our pioneering insight into aeration technology and combining that with our machine manufacturing and tube fabrication capabilities, we supplied this customer with a piece of equipment that exceeded their expectations. Characterized by its high performance operation and precision construction, this is a valued piece of equipment on the customer's process line. It features a 24" wide belt measuring ½" in thickness. The infeed measures 17.5" in width and accommodates materials 2.0" to 3.0" deep. Designed for flatbed orientation, it operates at speeds approaching up to 120 mph, and is capable of processing 100 tons of material every hour. 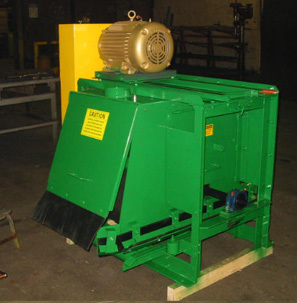 Engineered, manufactured, assembled, and finished by our professional fabrication team, components of this turnkey system include sheaves, V-belts, wheel shafts, rubber baffles, and pillow block bearings. 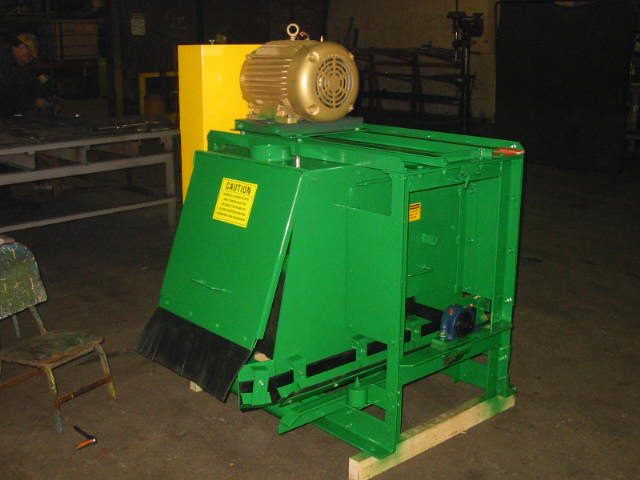 Additional items include the guide rollers and idler rollers as well as the horizontal and vertical rubber skirt. This machine provides a precisely controlled stream for aerating product at a specific point in the process flow. It requires very little maintenance and operates reliably, even under heavy duty cycles. This is just one example of a machine we built for use in a high-speed production environment. By working alongside the customer during development they received a piece of equipment that met their precise needs. If you are interested in learning more about this project or our equipment building capabilities, Contact us today.